Leading up to the 50th celebration this August, we will be featuring various alumni and professors of the Cortona alumni family. This week we would like to introduce you to alumnus Deborah Allison! Accolades: I also have an MFA from the University of Southern California. I studied Digital Arts & Animation. On my way to Cortona! I graduated in 2002 and moved to Austin to break into the indie-film scene. While there I created animated title sequences for a feature documentary, but I spent most my time waiting tables at a Chicago-style pizza house and honing my latte-art skills as a barista. In 2006, I moved to Los Angeles for grad school, and I've been here ever since. Tell us a little more about your career path. What made you choose your current profession? My dream was to become a Disney animator, so I went to grad school to study traditional animation. During one of my elective courses at USC, I discovered the world of interactive design and shifted my focus. I felt like I could carve out a unique career path for myself in this field—one that would pay well and allow me to be creative. That belief paid off when I landed my first job as a Product Designer. It’s a career that allows me to utilize, daily, many of the skills I learned in art school and film school: sketching, storyboarding, prototyping, and animating. Now I work for Disney, where I design apps and websites for the happiest place on earth. I ate gelato every day. Multiple times a day. I wouldn't shut-up about it and my parents noticed. When I returned home, they gifted me with a vanity license plate that said "Gelati". Cortona was my first visit abroad and the farthest I'd been from home. It was unfamiliar, scary, yet thrilling. Once I learned that I could figure anything out and connect with people despite our differences, I became a smarter, more confident individual. This trait has served me well in my personal and professional life. 2) Joan Didion. Her writing has shaped the Hollywood that I live in today. (3) Huell Howser: He was a folksy television personality with a twangy Tennessean accent. His PBS show California's Gold featured distinctively Californian people, towns, and landmarks throughout the state. David Hockney was even in two of Huell's episodes. 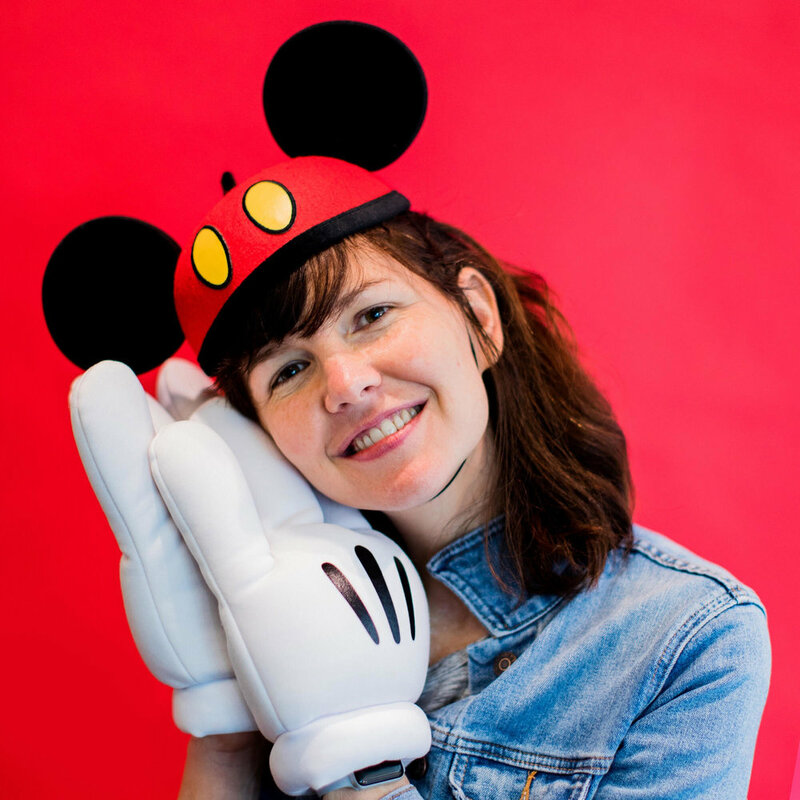 I've just been promoted to Principal Product Designer at Disney, which will give me a platform to share my voice and shape our work culture. I'm nervous, yet excited to take this next step in my career. Thank you so much for sharing, Deborah (and best of luck with the promotion!) We loved learning more about you and sharing your journey and work with the C.I.A.O. family.